Beautiful roll top stool with distressed effect wood legs. 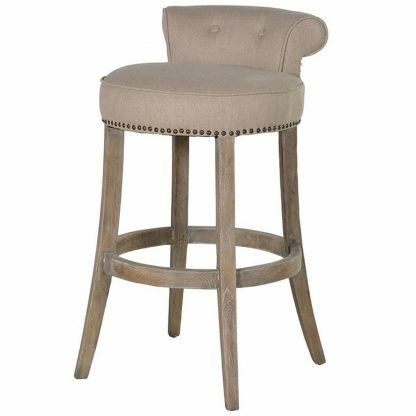 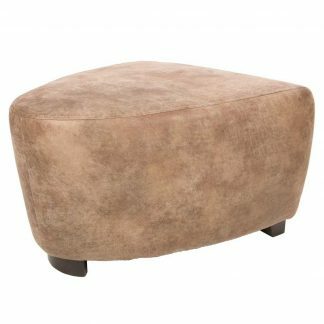 Upholstered in beige linen fabric and decorated with elegant aged brass studs that continue round to the back of the stool. 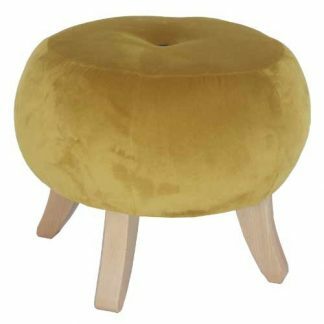 This stool is a sophisticated work of art. 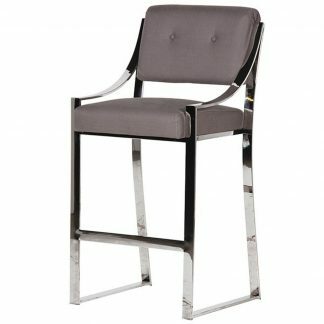 It would look fabulous around a kitchen island or in front of a modern or traditional drinks bar.